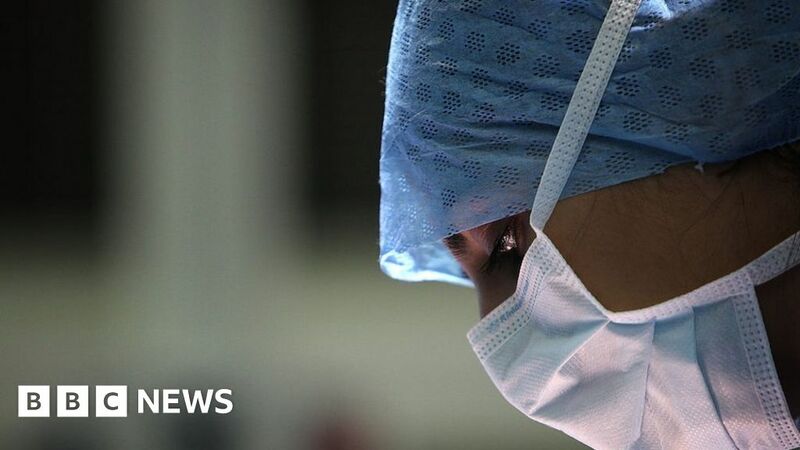 Scotland’s top earning senior doctors are overwhelmingly men, BBC research has found. The figures showed just 15 out of 100 of the highest-paid consultants across Scotland’s health boards were women. The Freedom of Information data suggested just two of Scotland’s NHS boards had as many as three women among their top 10 highest-paid medics. At least two boards – NHS Borders and NHS Ayrshire and Arran – have no female consultants among their top 10 earners. All 14 NHS regional health boards in Scotland were asked to provide the information but four did not reply or would not provide a breakdown. NHS Orkney, NHS Fife and NHS Tayside said they risked identifying individual consultants if they provided the information. NHS Western Isles did not respond. The Freedom of Information data showed that the earnings of the highest-paid senior doctors varied across health boards from £285,000 in NHS Ayrshire and Arran to £139,000 in Shetland. They were spread among many different medical disciplines, with general surgery and anaesthetics particularly well represented. Glasgow has just one female consultant among its top 10 highest-paid consultants but she was the top earning medic in the health board. Her speciality was not revealed in order to protect her identity. The data pointed to a small differential in the average basic pay, with men being paid about £93,790, up to 4% more than women. However, this widened to almost 20% when overtime and bonuses were included. BMA Scotland’s consultants committee chairman Simon Barker said: “While the medical workforce is today almost gender equal in numbers, there remains significant under-representation of women in senior roles that is particularly pronounced in certain specialties. “There is also strong evidence that doctors who work less-than-full-time experience greater challenges in career progression, which has a disproportionate impact on women. He said the NHS in Scotland could be doing “significantly more” to support employment choices and flexibility in career progression. Dr Judy Evans, honorary secretary for the Royal College of Surgeons of Edinburgh, said: “Consultants are often in post for more than 20 years. “The contracts for any job in the NHS are completely gender neutral. Dr Evans said: “It takes a long time for these figures to change, but we are on the way. “Nowadays most specialities report between 30% and 60% females in post in the middle grades of trainees. She added: “The old process for awarding bonuses was also very flawed, and was challenged in industrial tribunals. The NHS as a whole has been publishing gender pay gap data since 2015. Each health board publishes its own figures and they are not collated across the whole of Scotland. However, research by Wladyslaw Mejka, who runs the equalities campaign group Equality Here Now, said the gap between men and women’s average wage was almost 20% in the latest NHS statistics, published last year. The numbers are calculated by comparing the average hourly pay of women with the average hourly pay of men. The results suggest that there are many more men in senior positions than women throughout NHS Scotland.